Hsuan Hua traveled to Australia in 1961 and taught there for one year, returning to Hong Kong in 1962. 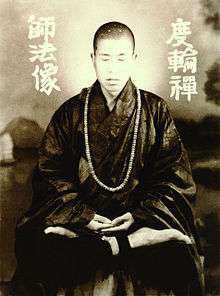 That same year, at the invitation of American Buddhists, he traveled to the United States, his intent was to "come to America to create Patriarchs, to create Buddhas, to create Bodhisattvas". On November 6, 1990, Hsuan Hua sent his disciples to Beijing to bring the Dragon Treasury (Chinese: 龍藏; pinyin: lóngzáng) edition of the Chinese Buddhist canon back to CTTB, furthering his goal of bringing Chinese Buddhism to the US.